Slip, Hardcover, 2 vols, 9.25 x 12 in. / 816 pgs / 670 color / 60 bw. Edited by Renate Petzinger. Text by Boris Groys, Robert Storr. 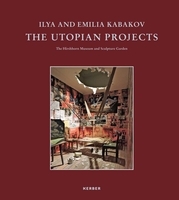 This two-volume, slipcased set presents the first complete overview of iconic New York-based, Russian-born artist Ilya Kabakov's paintings. 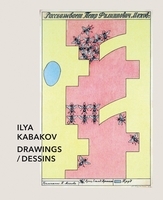 Centered around 130 works produced by Kabakov in Moscow between 1957 and 1987--when he used imaginary characters in his paintings to portray the banality of everyday life in the Soviet Union, providing both a parable on humankind and sardonic commentary on the system's unfulfilled promises and undelivered utopias--this comprehensive catalogue raisonné follows the publication of a two-volume catalogue raisonné of Kabakov's installations in 2004 and includes important essays by curator and critic Robert Storr and acclaimed late-Soviet Postmodern art and literature expert Boris Groys. Ilya Kabokov was born in 1933 in Dnepropetrovsk, Russia, and immigrated to the U.S. in 1988. Kabokov is a contemporary of other "unofficial" Russian artists like Komar & Melamid--who also immigrated to the U.S.--and Oleg Vassilyev and Ivan Chuikov, who remained. 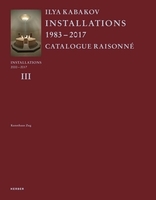 Contributors include Giairo Daghini, Anna Daneri, Emilia Kabakov, Boris Groys, Ilya Kabakov, Giacinto Pietrantonio, Angela Vettese. 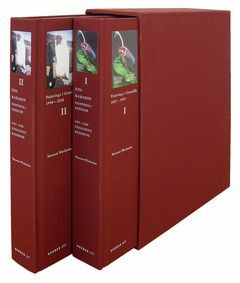 FORMAT: Slip, Hbk, 2 vols, 9.25 x 12 in. / 816 pgs / 670 color / 60 b&w.